Over the weekend despite technically still recovering from my Marathon des Sables last month I couldn’t resist having another go at a pretty awesome OCR taking place just a few miles from home. Okay so I was still aching from the desert but hey, if it’s on your doorstep then it’d be rude not to really! Always save energy for a smile. 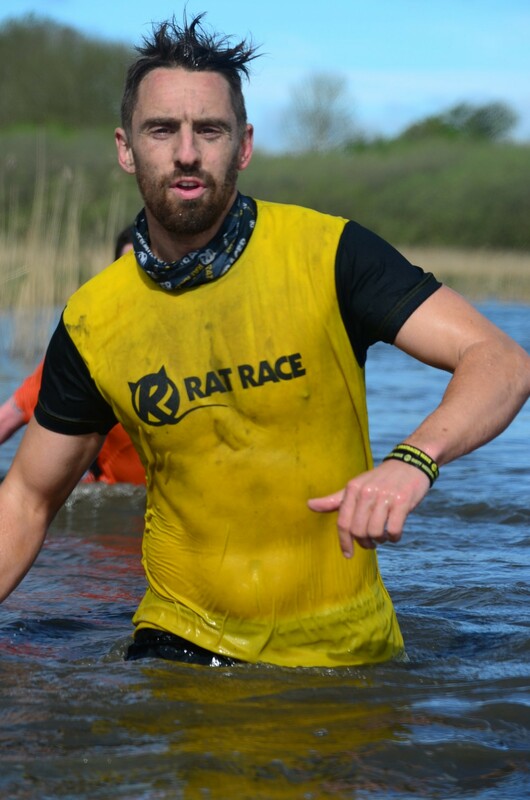 The Rat Race Dirty Weekend at Burghley House in the pretty little town of Stamford draws huge crowds and is a fantastic weekend and a brilliant event. Loads of people come and camp in the grounds of Burghley and make a great party weekend of it. The atmosphere was already buzzing the night before the race when I went to get registered. 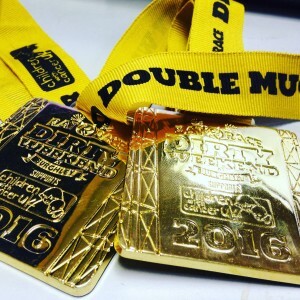 You get to race either the ‘Half Mucker’ 13 miles or go all in for the ‘Full Mucker’ of 20 miles and around 200 obstacles which is enough to lay claim that this is the biggest obstacle course in the world. This year I also got my kids into the new junior race which was a first this year. It was great to get them involved rather than just having to stand in the cold waiting to cheer me on as usual. They are however very well trained at cheering! After the races they even lay on a huge after party with live bands, this year headlined by Ash and there are plenty of food and drinks bars for those well-earned burgers and beers! 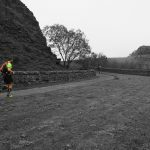 Having raced this a couple of times before I once again put myself into the first wave of runners setting off at 8am, there are some really elite racers heading up this bunch who are way out of my league but I like to stick my neck out and give it my best. Around 300 of us set off heading for the first obstacles, over the next 20 miles these vary from simply carrying a sandbag, log or traffic cone, crawling through cars and tyres to climbing some of the biggest structures you’ll face on a course including the world’s longest monkey bars, scaling eight foot walls or even spending half an hour in and out of a reservoir, jumping, wading, swimming, sliding and then back to running again! 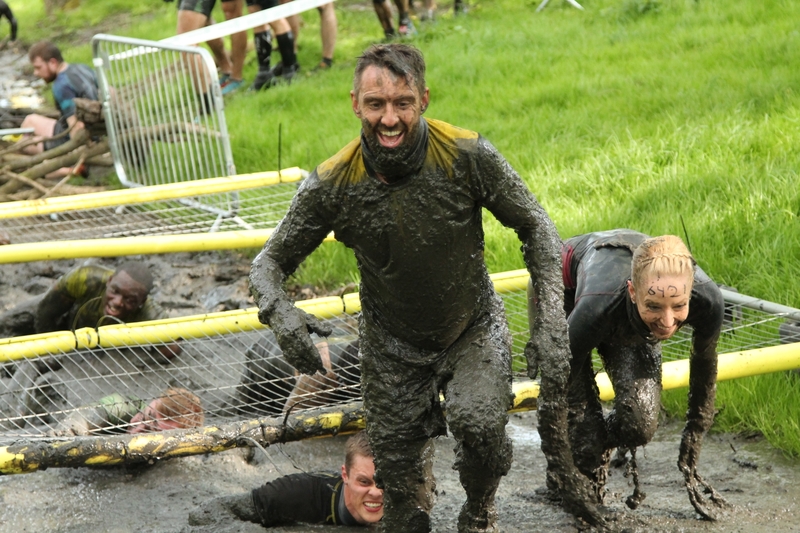 It doesn’t take long into the course before I’m face deep in thick mud, forced to get down low under the caging and crawl elbow deep in the slop. I can’t help but laugh pretty much the whole way through and despite the anguish, lack of breath and fear of what’s next, I see smiles and laughter all day long from others around me. 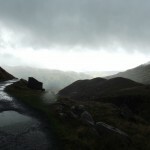 It was likely we would get a little bit wet. The course is broken into sections which carry different themes such as the Ewok village with many log structures, ropes and netting to tackle. One of the toughest sections is the reservoir, here you start off having to wade through it chest deep for about 100m or so whilst below the surface you’re knee deep in silt at the same time making it a real slog! You finally get out at the bank only to run around, grab a life jacket and jump in the deep end to swim (or attempt to swim with your tired cold arms) across the lake but not before having to pull yourself out to climb over a series of floating platforms. The comradery is great amongst everyone and we all help each other out, as if dragging my own weak and cold body out of the water wasn’t enough I then turned to lift a few more out before jumping in and heading for the next one. The course is broken into sections with different themes such as the Ewok village with many log structures, ropes and netting to tackle. One of the toughest sections is the reservoir: here you start off having to wade through, chest deep, for about 100m or so while below the surface you’re knee deep in silt. You finally get out at the bank, only to run around, grab a life jacket and jump in the deep end to swim (or attempt to swim, with your tired cold arms) across the lake. 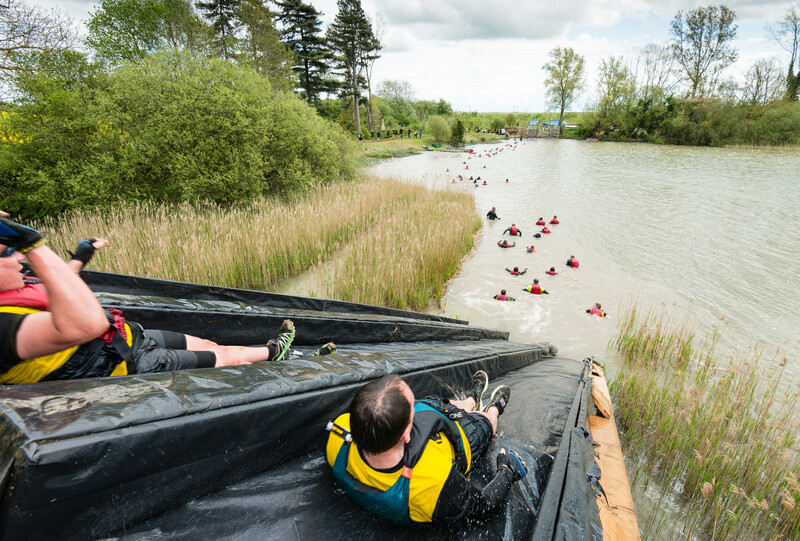 Though not before having to pull yourself out to climb over a series of floating platforms. The camaraderie is fantastic, and we all help each other out. As if dragging your own weak and cold body out of the water isn’t enough, we all turned to lift a few more out before heading for the next platform. At this point was a terrifying 30ft tower from which we’d have jump into the pool below. I bypassed the lower platform option (all or nothing, right?) and headed to the top. Maaaan it’s a long way down when you’re up there. On the count of three from the marshal, next to the another chap, I made the heart-stopping leap off and down into the muddy water. However, despite all this activity, I’m still only around eight miles in. Hours of slog lie ahead, before I finally cross the line after three hours and 45 minutes, being 36th across the line at that point. 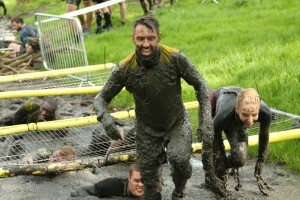 But unlike the other thousands of people crossing the line I was only halfway through the challenge. This year, the Rat Race organisers had thrown in the “dirty double” option. Yes, twice, all the way around this immense course. Only 33 of us were stupid/brave enough to take this on. So I had a quick rest and refuelled with coffee, coke and snacks and then joined the 18th wave of runners and started the whole thing again. The second time round was quite a different race, a bit of queuing, lots more banter, and after several thousand had passed through it the course was a lot more “people shaped”. I finally finished my ordeal after a total of around 8 hours 40 minutes and was chuffed to bits to place second in such an enormous race. 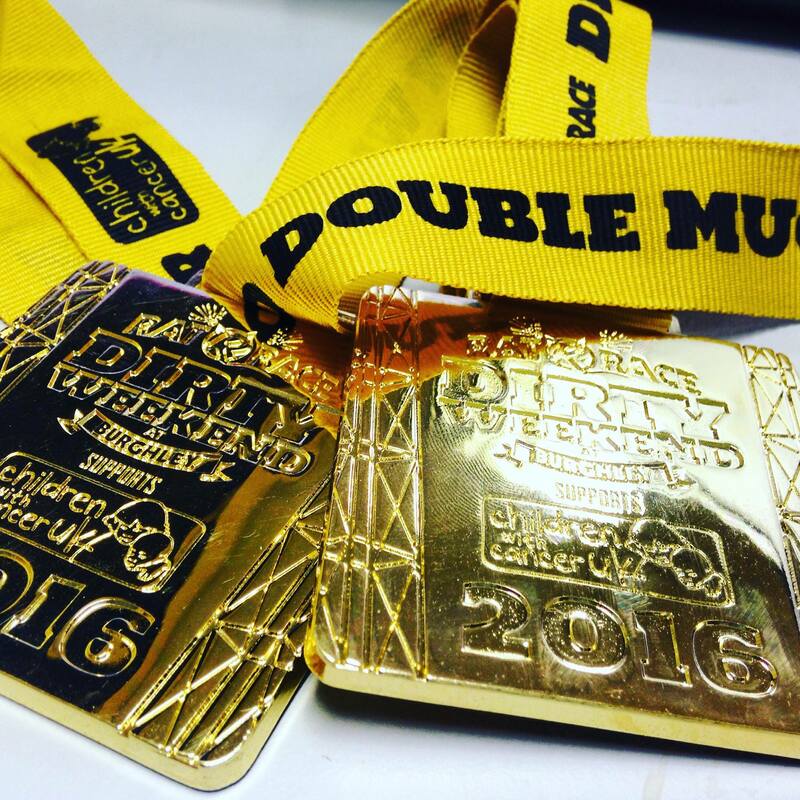 For 2016 the double is open again and I’m sure there will be a few more glory hungry contenders chasing those lovely gold medals up for grabs.